Happy Wednesday and hello to the first of this year's gift guides. 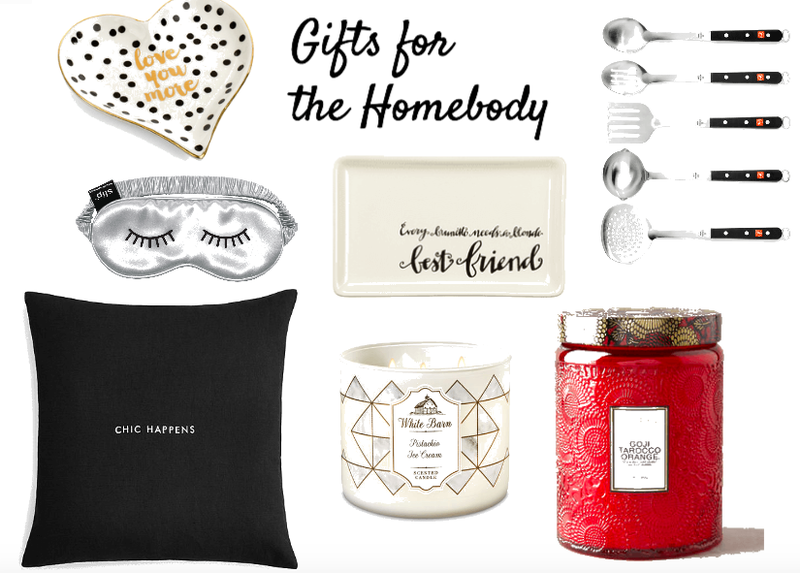 I'm kicking the cheer off with a warm and cozy set of great gift ideas absolutely perfect for the homebody. Whether it's your mom, dad, brother, sister or bestie this list is sure to have something they'd love. Personally, I'm loving these slippers which I'm planning to wear fireside. These candles are one of my faves and this one reminds of the holidays ever since I received it as a thoughtful gift one year. My suggestions would not be complete without mention of this bubbly favorite. The scent just says "wrap me up in coziness" and has been in my shower since October. I've linked each of these along with the other picks above for you in the thumbnails below. Hope everyone's enjoying a wonderful week!